This March (2012), Auchentoshan, Scotland’s only triple distilled Single Malt whisky, will launch a new and exclusive range for the travel retail sector, consisting of four core permanent expressions supplemented by two limited editions released each year. Available globally in a range of international airports, terminals and border shops, the range is targeted at global travellers who want to explore a stylish and unique range of Single Malt whiskies as well as whisky collectors and aficionados. With a view to expand and grow the Single Malt category globally, this compelling collection boasts a distinct style and taste, all beautifully maturated using a selection of fine North American and European oak casks previously used for the ageing of Bourbon, Spanish Oloroso Sherry and Pedro Ximénez Sherry. 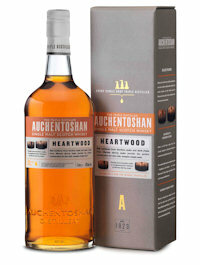 This provides Auchentoshan with a strong point-of-difference within the sector. As a top-10 travel retail brand in Europe with big aspirations and enjoying double-digit growth year on year within the sector, the new range is a compelling consumer-driven concept to build on the successes so far. This bold wood proposition offersconsumers differentiation within a competitive category, providing a strong-selling back story. The stylish and contemporary packaging with new taste cues for each expression also brings to life the story of each cask, appealing to a cross demographic and embracing the consumers’ desire for discovery and learning about the history and craftsmanship of the whisky. First nose reveals barley sugar, Seville orange, coconut creams, honey and lemon toddies. Also, poached pears and green bananas. Behind the sweetness, a spring garden in the morning dew with narcissus and daffodils. Water releases vanilla madeleines and lemon bonbons with coconut ice, macaroon and a drizzle of chocolate sauce. Roses now appear in the garden. Lively and charismatic on the tongue. A burst of tangy citrus (clementines and pink grapefruit) and warming barley sugar with a frisson of coconut, trace of honey and dewy floral notes. Clean and salving with grapefruit, citrus and dew. 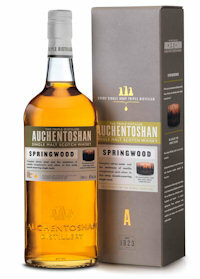 Rich, enticing and very warming with smouldering toasted oak notes. First nose brings burnt candy and baked fruit desserts in an oak cabinet. Seductive sandalwood and rosewood pull you in with cinnamon spice and rich Viennese coffee. Next Moroccan spices and baked blood oranges appear with toasted tonka beans and Christmas cloves. Water brings out more toasted warmth on the nose with leather, vanilla, more spices and traces of liquorice and walnut. Toffee and coffee are sweet and delicious. Rich, warming and comforting, like a soft velvet blanket. Dark chocolate orange, burnt vanilla pods, velvety leather and cinnamon sizzle. A cornucopia of fruit, nuts and barley, reminiscent of an autumn harvest table. Roasted barley and chocolate pralines bring the first layers of aroma. Treacle toffee and chocolate brazil nuts follow with butterscotch and crème brulee. Water releases fruit and nut muesli with freshly squeezed orange. Chocolate follows with hazelnuts, almonds, dried apricots and figs. Oiled leather emerges with traces of walnut oil. Well-rounded and mature with a creamy texture. Dried figs and apricots are sumptuous and sweet, interwoven with a cornucopia of hazelnuts and almonds. Chocolate pralines are smooth and creamy. Chocolate pralines, apricots and walnut oil. Captivating and heady with botanical herbs, warm fruits and deep floral scents. Fennel, gorse bushes and a hint of black pepper awaken the senses to the veritable delights that await beneath. Aromas of honeysuckle, vetiver and tea tree oil create the impression of a late summer aromatic garden, tempered by soft jasmine and oiled oak. There’s a satisfying deep fruitiness too with baked bananas drizzled with honey and warm toffee, served with almonds and liquorice root. Water brings out more banana fruit with pine nuts, honeysuckle and fresh mint. Rose-scented Turkish delight with a sprinkling of icing sugar now appears alongside liquorice and mint, perfect for after dinner. Creamy, oily and mellow with warm coffee, a teaspoon of Demerara sugar and cleansing mint chocolate. A wonderful digestif to sip and savour. Dark chocolate mint cleanses the palate with a lovely cooling finish. Mature, mellow and deeply aromatic.Dark dried fruit with Victoria plums, cherries and raisins, followed by a deep and unctuous oiliness, reminiscent of beeswax and linseed oil. A basket of richly spiced dark fruits in an oiled cabinet.Water brings out more deeply seductive oiliness, but also rich plumy fruits and scents of rosewood and cherry blossom with warm roasted Columbian coffee in the background. Taste:Full bodied with a thick, oily and chewy mouth-feel.Plums, dates, burnt toffee and toasted almonds in a cherry, raisin and blackcurrant flan. Dark chocolate brings depth and a bittersweet dimension with cherries inside. Chocolate, dates and toasted almonds.